Well, here we are at week 4 & I am feeling great! Lost a little weight, my rheumatoid arthritis systems have eased, I am feeling happier & have loads more energy. My husband has noticed the improvements in me & has joined me in enjoying the delicious soups & shakes etc. We are okth in our early 60s & life is good! I just wanted to say thank you for putting love your gut together Lee. My boyfriend has been suffering from undifferentiated arthritis for 5 years and after seeing a couple of rheumatologists we decided to do the program as a last natural resort for him to get better. The only option the doctors gave him was a strong immunosuppressant which we wanted to avoid if possible. We finish the 4 week program from the book tomorrow and although it has been a tough journey he has said he has never felt in this little pain for the past 5 years. This has changed our lives and we are so excited to keep healing and getting everything better. I have underactive thyroid,inflammation, G.E.R.D severe acid reflux, and gallstones and I have to say since starting HYG on the 20th, I am a different person. I'm loving it and apart from a little setback in the shape of a wineglass ( I had one Shiraz on Sunday)I haven't had any reflux, my tummy is no longer bloated, my skin is silky, I'm sleeping better and my back doesn't ache in the mornings. I've lost 6 kgs (I would say its fluid as I'm peeing ALL the time :-P) thank god it's winter so I'm enjoying (some of) the soups. So thanks Lee for helping me feel the best I have in 15 years!! I’ve just completed the ‘Heal Your Gut’ 4 week program and feel absolutely amazing! The first week was very challenging as I started to detox, but I’m so glad I stayed the course - the results are so worth it. Previously I was so dependent on my coffee caffeine fix to get through the day – no energy, foggy brain. Everything I ate, my gut reacted to, and as a result, my body was constantly inflamed, with aching joints and headaches. To do anything was such an effort that I ended up either sleeping or eating all the time. I’ve had quite a stressful time over the past few months with my mum passing away after a long illness with cancer – so stress has been a big player in how I’ve been feeling physically. Now, I can’t believe in 4 weeks how much my life has changed. I have energy, I’ve lost weight, I can make decisions, and am actually in action! I feel as though my life is finally moving forward. And I’ve completely changed my relationship with food – which is an added bonus. Eating used to be something I must do to stop feeling hungry, and now my approach is food is medicine and I’m excited to cook and try more recipes – thanks to your cookbooks. Once again – a big thank you – the ‘Heal Your Gut’ program has given me my life back. So it's been one week and Lee i've never felt better. I haven't had one sore stomach or one IBS symptom all week, I have almost forgotten what it's like to have a sore stomach. I have been loving the soup recipes and have been really getting into teas and I was a 2 cup a day coffee drinker who couldn't live without caffeine. I have also gone cold turkey and quit smoking, I figured if I'm gonna do this I may as well do the whole thing. I am really looking forward to the next 3 weeks any beyond and feeling even better, hopefully it will stay this way. Thanks again, you have been an amazing help. So here be it 4 weeks today! It's been an eventful body ride with ups and downs to which 8.6 kilo was dropped 1.8% body fat lost, many new habits have formed and a clearer happy tummy is proven for no tummy aces YAY! I will never miss the intense 10 day detox body aches! Gosh my organs needed a cleanse! It's the longest I've gone without booze for over a year! Natural foods taste incredibly sweet to me now. What a relief to cut out sugar!! It's encouraged at least 3-4 people around me to improve their diet. I can now know the correct way to fast for two days a week. So many delicious recipes that will stay in my food regime thank you Lee Holmes I really appreciate the opportunity to be healthier this year! You have helped be return to natural foods and cut off from the terrible diet that had hold of me for 50% of my eating prior to this cleanse! Here's to a happier , healthier 2016! Good luck everyone else on your journey Now i better start my yoga routine before heading to work! I recently purchased your book 'Heal Your Gut'. After 3 1/2 weeks of phase 1, I wanted to let you know that I am feeling and looking great! I have spent the last 2 years working with a naturopath to treat a low functioning thyroid, and although I have improved out of sight, I just wasn't quite 100% there yet. I have to say however that our healing protocol was just what I needed to get me all the way. I have kicked the coffee habit for good (I was drinking 3 a day) I have tons of energy (even jumping out of bed when the alarm goes off now, instead of hitting snooze 3 or 4 times), my skin is glowing and blemish free for the first time in my life and I have FINALLY lost the flab off my tummy that appeared with my thyroid issue. I can not tell you how thrilled I am to have lost that weight (I don't know how much because I don't weigh myself). I have tried so hard to shift that weight over the last 2 years and now it has just fallen off..... Back into my tight singlets and skinny jeans! I turn 40 in 8 weeks and will be celebrating with family in Europe so this just could not have come to me at a better time. I feel fantastic! Thank you so so much!!! I love everything about the book; the format, stunning pictures, great tips and the recipes are so delicious. I have not made the same recipe twice yet, thanks for so much variety. I have to say that all of the recipes have helped so much. In the past I have had naturopaths give me list of what foods to eat and not eat but I haven't found that so helpful. Having all of those recipes to choose from has definitely been the key to my success. I will be buying your book for my Mum, sister and best friend too! A *big* thank you to Lee Holmes for her amazing recipes and health wisdom. Thanks to her wonderful work and advice in Heal Your Gut, I now have the tools to fight my IBS! I have vastly reduced bloating and other digestive issues thanks to this great diet. I love how uncomplicated and quick the recipes have been, how excellently flavoursome and easy, all so healthy and delicious. I feel much better. Better than I have felt in years. So - onwards and upwards! Entering week 4 - I feel great! Lots of comments about looking better too which Im pretty pleased about. Energy levels are up. Lost weight which is positive - mostly water retention. I feel more positive and I have definitely picked up some new feeding habits thanks to this program. Loving it and yes, it had some bumpy moments health wise but Im coming out the other end glowing and happier. Being a better mum too as a result. Started my first workout today only which will only add to health improvements. As a 40-something Wife, Mum and Physiotherapist, I’m convinced that gut health is one of the primary keys to our overall wellbeing. I found a lot of generalised and disjointed information out there regarding the ‘why’ and the ‘do’s and don’ts’ of optimising your gut microbiome however very little on the ‘how’ and ‘when’! Lee Holmes “Heal your Gut” book and program took the guesswork out of how to gently kick-start my gut healing journey and when to ideally introduce certain gut friendly superfoods and supplements . It gave me a logically phased and completely do-able plan utilising real, wholesome food and products, no gimmicks. 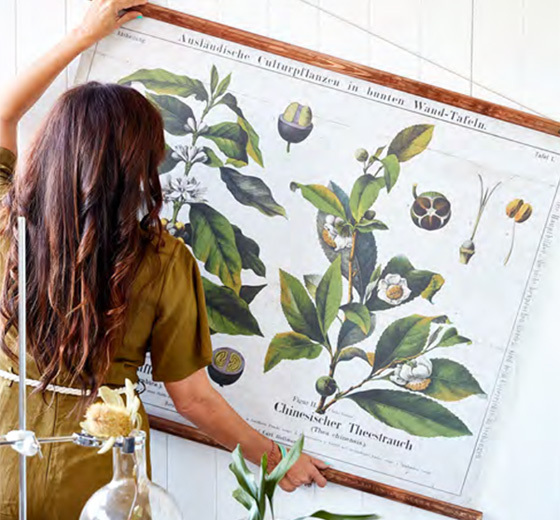 The book pages are as pretty as they are practical. Lee’s recipes are so simple and delicious that my husband and boys started fighting me for my ‘special gut health’ meals. After just 5 weeks, some of her recipes have already become my go to family meals and side dishes! Though I’ve lost a couple of kilograms and become leaner, this was certainly not my primary motivation for starting. My horribly cracked, dry, on and off hand eczema (that I have had for 16 years) is already markedly less angry, my complexion is so much clearer and I haven’t picked up any of the usual winter colds off the kids. I’m so excited to think that my eczema and a few other niggly health issues may never return as my gut continues to grow stronger and stronger. Thanks Lee, I am so grateful you have shared your own experiences, produced your book and continue to raise the public’s awareness of gut health. I have no doubt the number of people you help will grow immeasurably. Here’s to mainstream science and medicine fully cottoning onto the importance of healing your gut! Will try to keep this message of thanks short and sweet! For two years I was barely able to walk and finally ended up with a diagnosis of Fibromyalgia and a non-specific autoimmune disease. Luckily I stumbled across 'Heal Your Gut' at my favourite bookshop. My family and I started the protocol in Feb and haven't looked back. Within a few days I felt better and am now feeling AWESOME! I am still gluten and dairy free and also have 'Eat Right For Your Shape' can't wait to see what you come up with next. Thank you soooooooooo much Lee, from the bottom of my heart. For those of you starting the 4 week plan, I thought I'd share my experience with you and give Lee Holmes some feedback. I was already eating sugar, dairy and gluten free for 5 weeks when I started so I had a head start. I've been wheat and barley intolerant for 13 years, lactose intolerant my whole life and had yeast issues in my late teens. But for the last year things had got bad. I experienced side effects I had never had (brain fog - didn't even know that was a thing! ), extreme lethargy and mood swings. Turns out not only did I have Candida throughout my gut, I had the early signs of leaky gut syndrome. I decided I wanted to sort it out naturally. When eating a yeast free diet wasn't enough after 5 weeks, I found Lee's blog inspiring, her story compelling and that was it. It was hard. Everyone asked me what I was doing. I'm in the UK and so my choice of soups at lunch in the height of summer got people talking. I decided to be honest and was amazed at how many people empathised and were really interested. At home, I had to ask my partner to sort out the kids' food and his dinners on a permanent basis as I had to cook everything for myself. It really paid to ask for help, something I am not normally good at. The first 10 days were the hardest. The lethargy got worse, my headaches turned into migraines and I got very emotional and grumpy. But then something just clicked. On day 11 I woke up and suddenly realised the brain fog was lifting much quicker. Slowly, my energy returned - no more falling asleep on the train home! And by end week 3, I was eagerly running around with my girls in the park, without having to stop to rest. Then people started to notice the difference in me. Compliments on how great I am looking and how good my skin is, and the bonus, how much weight I had lost. But the best, the absolute best side effect, one I didn't expect, is that since day 12, I have slept incredibly well every night. That's now about 4 weeks of good sleep. I can't even remember the last time I slept through the night and woke up feeling energetic. Seriously, best thing ever! In total I lost 3.5kg in my 4 weeks on HYG plan (12.3kg in 9 weeks since my diagnosis and change of diet). But I was 20kg overweight when I started so my body had quite a bit to get rid of. Never have I lost so much without rigorous exercise. And never have I felt so good. What I have gained is control again over my health and knowledge for life. I've learned more about my body in 4 weeks than I have in my 36 year lifetime. My passion for cooking is back too, as you can tell by all my cooking posts on here. 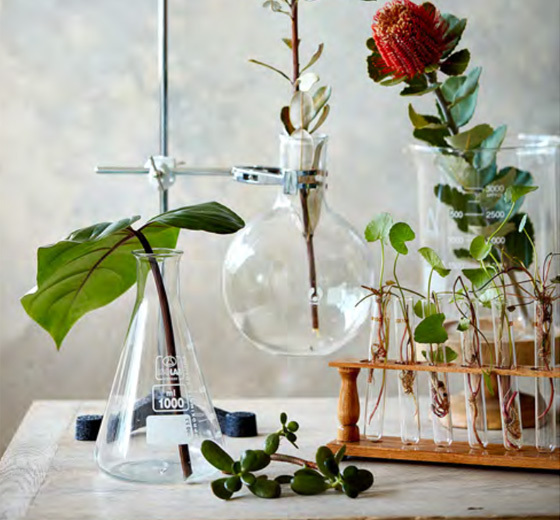 And a love for new ingredients. Imagine, my whole life I was told not to touch avocado and coconut oil and they turn out to be the key ingredients to health success! I was really worried about reintroducing food but clearly my gut is better because it's coped really well the last week and a half. Gone is the gas and bloating I used to get constantly. The mineral supplements are really effective so I highly recommend those when you get to them. Wish I had started those when advised... I just took a while to organise myself. For all of those about to start, just keep at it. When you feel it's never going to get better, just hang in there a little longer. The results are completely worth it! Am just ending the four weeks Heal your Gut...what can I say - I am feeling amazing and weigh a little less (5kgs) and feel loads better than what I did prior to starting. I have had no cravings and feel full...my appetite has decreased and I don't seem to want a daily fix. I have moved to organic foods, healing vitamins and minerals and am looking at taking classes in creating fermented foods which I will start introducing in the next two weeks. Thanks again. Oh all my symptoms are gone and I can't wait for the latest blood tests or visit to doctor. After years of chronic pain and a body prone to cysts and tumours, first one being removed when I first went through puberty at the age of 8, (yes an early starter) life of Doctors visits and Hospital stays, too many to mention, my last being a tumour removed from my spinal cord. Also being diagnosed with Fibromyalgia amongst other things, I have been constantly searching for ways to overcome pain, inflammation, fatigue, depression etc. My very talented daughter that is a holistic practitioner mentioned to me that your Gut is what needs to be healed first as so many diseases are a direct result of poor gut health. After a lot of research, which became a headache in itself and not knowing how to simplify it all, I came across the most wonderful, user friendly book by Lee Holmes that just put everything into place for me and created a light bulb moment, just making it so easy for me and left me asking "why hasn't anyone done this before?" Lee's book, "Heal you Gut," has not only made things easy but am very pleased to say that my cysts and Tumors are decreasing in size, I'm moving more, the pain has decreased and I'm well on the road to recovery. 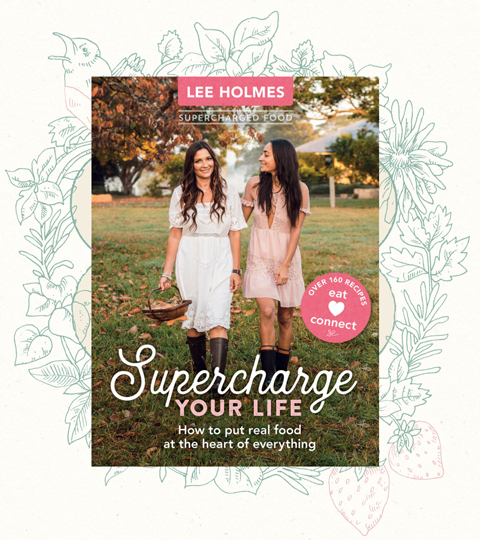 I can't thank Lee enough for not only sharing her experience but going on to achieve what the rest of us are unable to do, producing a book to find relief and healing through food, Lee is inspiring and a great motivator. I just wanted to write and say thank you!! I have been having 'issues' with my tummy for a few years now (about 7), initially it started as a bit of pain, then trouble using my bowels regularly. This went on for a couple of years - I didn't think much of it, had a colonoscopy (nothing to report there thank goodness other than I had a 'slow gut'), increased my water intake and took up running, put it down to stress. That helped for a while, then everything seemed to get worse, I put myself (and the family) on a gluten free diet. That did help for a little while (maybe 12-18months) but then symptoms returned and worse than before, always escalating. Again blaming a stressful job, no work-life balance etc I said to my hubby that I needed to do something as I was worried I would end up hurting my body irreparably (ie colostomy bag or worse). I couldn't understand what was going on as I had never had any problems previously with my diet, always being able to eat everything (I loved food). And I now had such a restricted diet, it was awful. Then I saw a picture and a blurb for your book in a store catalogue, so I googled it (and you). The fact you're Australian (and write as such) was brilliant. I had sought help from other books, but none of them helpful. I read the whole thing from cover to cover before starting. I identified with the 'leaky gut' all the symptoms were what I experienced - foggy head, aching in my joints (I thought I was getting gout) and your journey. So that was it, I was off, with the family coming along for the ride-again. I am a Nurse by trade and so consider myself to be reasonably well informed, however after reading and following your book, besides me having learnt a lot, I realised that although my family do have a good diet (whole foods, grains fruit, veggies, not much junk food) we weren't having "enough" of the good stuff. I started your heal your gut program in September this year, my 11 year old daughter even asking me what was different about this diet. My reply was "this is how I grew up, eating all these foods (the ratatouille reminded me of what my mum used to make) and this is how we are supposed to be eating", however with our busy life I had forgotten what to do. I now feel fantastic and have reignited my passion for food and rarely have any side effects. At least now when I have 'overdosed' on something I can pull back and apply 'recovery mode'. I am still experimenting with what I can and can't have a lot of. The whole family love the recipes and even the 'carnivore' hubby is happy as he is full at the end of the meal, he is happy to let go of meat for a few days a week. So THANK YOU Lee with capital letters, I honestly believe you have saved me from a terrible future. And as a result I am now seriously looking into going back to study in the Nutrition field. What an incredible 4 weeks. Can't believe I made it without a cheat. While my gut is still a work in progress I am feeling incredibly clear headed and full of energy. This is the first Easter I've had without traditional chocolate and I'm not even craving or missing it. Your soup recipes were so yummy that I'm hoping to get a similar enjoyment out of my slow cooked meals. Thanks again for a great program! For all of you just starting out on the 4 week programme the benefits are fantastic. I just completed the last one so thought I'd give some feedback (aka inspiration). I thought my gut was fine so joined to lose weight which was the wrong reason. I did lose a bit of weight but the effect on my gut was amazing and I am well and truly reaping the benefits now. Yesterday was a big race day in Broome so I went, great comments on how well I looked, smooth skin (I'm 54). Had a great day, lotsa champers with water in between. Got up this morning and gut kicked in, cleared my system of yesterday's indulgence. No lethargy as in the past and feel bright, energetic and on top of the world. I also started using the LYG powder 2 weeks ago and regret not using it sooner. Highly recommend. Sorry for long post or "too much information" but I am so impressed and so much better and this is someone who thought they were good before. Stick with it and thank you Lee Holmes. Nearly 2 weeks down and still on track. I am definitely feeling better but in a way l wasn't expecting. I have had lower back problems for the past 6 years and even after numerous visits to Osteopaths and weekly Pilates classes, nothing seemed to be helping. Since being on the 'Heal Your Gut' program, my back problems have vanished. Wow! I'm looking forward to seeing what other improvements my healing body has in stall. Thank you for your wonderful book Heal Your Gut, it has changed my life. I did your 4 week program and it has worked a treat. I have recommended it to so many people and just wanted to thank you for making a wonderful difference to my life. Thank you again. I have dropped 2 dress sizes and feel so much better for it. I found the Heal Your Gut program fantastic. I don't enjoy cooking however there was something enjoyable about cooking from scratch with so many new vegetables I don't normally cook with. It has been many years since I felt so well and was free of my IBS symptoms. Unfortunately since I've stopped the soups and moved to a combination of slow cooked meals and soups my tummy has been struggling a bit. I'm still dairy free, sugar free, gluten free and fruit free (except for berries once a day). Besides some minor tummy issues I have so much energy and my brain fog is gone. I'm also sleeping so much better and overall feel so much better. I recently bought Eat Yourself Beautiful and Eat Right for Your Shape and I'm loving the recipes. I started my Get Shiny Action Plan – my image of health was not just the shiny hair & skin but to be shiny on the inside. Two years after being diagnosed with auto-immune liver disease, treated with steroids and immunosuppressant (chemo) drugs I was so unwell I was barely participating in life. I made a lot of changes but was still more grey than shiny until I met Lee. A few months after starting Lee’s eating plan & a few lifestyle changes I achieved those shiny goals. I didn’t think I would ever feel this good again, haven’t had any illness & I look totally different. The second time I met Lee, I left her with a hug & said ‘you changed my world’ because that is exactly what she has done. Such a beautiful person doing wonderful things! I embarked on the Heal Your Gut journey for my daughter who's just 20 and has had a difficult 12 months of health issues resulting in some gruelling medical tests. At one stage they thought she might have prolactinoma, a benign tumor of the pituitary gland. The tests were getting her down and so she asked to move back home and take a short break from what seemed like weekly bloods and scans. She would often feel sick and vomit. I started cooking from the Heal Your Gut cookbook. Although my daughter would sometimes cheat, and enjoy things like a focaccia and coffee in between the meals I cooked, she really enjoyed the recipes, as did I. It's been 4 weeks and her symptoms seem to have disappeared and in hindsight, we think it was mostly stress. But the other unexpected thing was my weight loss. I thought my mothers scales were broken when she insisted I had lost weight. I wasn't trying to lose weight, but was probably about 5 kilos more than I should've been. I am loving the yummy recipes and loving being healthier. I have a lot to thank you for Lee! For more than 10 years I have suffered from chronic and debilitating constipation and compacted bowels. There have been times when I could not get out of bed for the pain and days when the very act of going to the toilet would reduce me to tears and leave me exhausted. Despite what I thought was a ‘healthy’ diet, without the use of laxatives and fibre supplements I simply could not go. Three weeks ago I started the HYG program with the slightest hope I might find some small relief and a few ideas to lessen the impact. In just three short weeks I have reached a point where I have NOT needed to use ANY supplements or pain killers and am experiencing more bowel movements that still make me want to cry, only this time it is with relief and happiness. Your Heal Your Gut Program is great. My whole family are now eating EVERYTHING from the program!! I'm so happy my husband and I are sharing the cooking. This has become a family thing! This photo was taken at the end of the Heal Your Gut Program! I'm glowing! Lost over 4kgs with compliments from my husband. Skin is beautiful and clear and ovulation happened on time instead of delayed. And no breakout associated with it. I'm not craving coffee or sugar like I used to. Pretty exciting! My jeans are swimming on me!!! I’m feeling more in tune with my body, and know what to stay away from (and what to expect if I don't) whereas before it was a bit of a guessing game. I mostly ate good organic food before and I just kept putting on weight. It was so confusing and frustrating. I know this isn't about weight, but I've lost 7 kilos and I feel like I'm floating on air. My knee & ankle joints aren't giving me any trouble, my skin is glowing and I'm in a good routine of self-care, my mood is so much calmer and relaxed and I don't feel as stressed in my job. On the spiritual side, I have been moving toward self-love and self-care, and your program has really slotted in with this and feels like such a turnaround for me. With the wonderful supportive group and your daily input and instruction, I feel like I have gained so much confidence & knowledge. I've loved being a part of this program and group, more than you will ever know. I am so grateful for my new lease on life after completing Phase 1 from your Heal Your Gut program. After a kidney infection 4 or 5 years ago, I took antibiotics for a year, then my muscles started aching and I was diagnosed with an autoimmune disease, tested for MS, etc. So then I was on Prednisolone for 2 ½ years. My skin was bumpy and dry and I had fine lines on my face. I had migraines for the first time in my life, my hair was thinning, I definitely had a foggy brain, my leg muscles ached and I was always tired. I knew it was inflammation but did not know how to fix it apart from taking more anti inflammatory drugs. My sister in law heard you on 3AW and called me, saying that my symptoms were the same as yours. So I bought the book and have not looked back. My first week was pretty rough, with headaches and flu like symptoms for a week. Then exactly 7 days later I felt fantastic. Much more energy, no brain fog and generally brighter and happier. Friends have noticed it, even in my voice. My legs are back to normal, no more pain, which is amazing. In two weeks I had lost 5 kilos, and after 4 weeks I had lost 7 kilos, which was great although I hadn’t done this for weight loss. The saliva test shows I had/have Candida, so I am on a roll now and will continue with the same protocol. It was very comforting to have the recipes to follow, and be much more organised about buying supplies. My son really loved the soups, especially the cauliflower and turnip soup and I was doing the supercharged shake for us both each morning! I feel so happy that I now know what was wrong with me and have the ability to fix it! This is life changing for me, thank you so much Lee. I cannot tell you how much I appreciate all your advice in the HYG program. After doing the program I have really seen noticeable differences. I consider myself a work in progress and understand that healing takes time and I therefore look forward to a second round to build upon the healing starting blocks you have offered to me. Starting the HYG program I knew I had chronic fatigue and my gut was giving me all sorts of problems. I started to fear eating food. Amongst a lot of other symptoms I did not even notice that I had a heavily coated tongue and obvious candida problems until I did your simple test. Two weeks into the HYG program I watched my coated tongue change from white to a bright healthy pink! I was feeling very overwhelmed with all the conflicting advice, but your program helped clear up the confusion and refine my choices. I was already eliminating sugar, gluten and dairy and felt helpless because I didn't know how else I could help myself via diet. The subtle tweaks of adding the bone broths, good fats, easily digested meals and supplements have really helped me. I am no longer experiencing severe pain and bloating in my gut on a daily basis and I can slowly but surely feel the brain fog lifting. Before the HYG program I did feel that I was making good healthy choices, but your program and the tweaks I have taken on-board have really helped to rebuild the foundations of my health. I really enjoyed all the recipes, and have continued quite easily to add these into my day to day eating plan. I am coming back for a second round to be with a group that is caring and who understand. It is truly wonderful to be with people who care and to have advice on hand when I feel the need to ask. Thank you! I've recently finished the 4 week phase one and I feel the best I've felt in 7 years. I'm happier, healthier and more energised. I suffer from severe Crohn's disease and now, I'm taking hardly any medication and feeling great! Doing your program has literally changed my life. The information you have available to us is invaluable. Huge credit to you in making it easily accessible, informative and easy to use, reference and follow. Maybe you don’t realise but just accessing all the information and following your recipes & program, I have felt your spirit, your energy & all your hard work from this journey. Your energy has been supportive and comforting. Amazing person you are - Thank you for being you! I suffer from Crohns disease and your program has really helped with my symptoms. For the first time in a very long time I have so much more energy, no tummy pain or bloating and I feel the best I have in years. Thank you, thank you, thank you. It just makes sense to me that if my guts not working properly, I’m not working properly! I’ve always had a bit of a 'spare tyre' tummy even though I’m pretty active and eat fairly well. Someone bought me the ‘Heal Your Gut’ book. I got the hint. My first impression was the information was well-researched and easy to follow. But it was following the protocol that made all the difference. I especially want to highlight the recipes - so easy, tasty and filling! I don’t feel like I’m missing out with this food. I feel noticeably more energetic and I’ve lost 3 kilos! I have had a challenging year but on top of that my physical & mental health has been horribly bad. At times I have thought I was losing my mind altogether. It's something you can never describe to people, even those closest. Everyone seems to look to the brain but I have more & more belief that we also need to look at our stomachs. I did the Heal Your Gut online program & not only did I feel better physically, waking up with no stomach pain & no more headaches, I also mentally started to turn around. I could get out of bed when before the thought was hard enough let alone the action. I could hop on a train without having anxiety attacks & I felt like being social again. I don't usually like to open up like this but if this could help anyone out there that feels like this in any way I think it's worth it. I also want to add that it's not a quick fix, it's a complete change of lifestyle and a positive change in quality of life. I have completed the HYG program twice now, each time with spectacular results! After suffering with thyroid & IBS issues for many years, I can now say I have gained control over those chronic symptoms that once left me debilitated & depressed – all thanks to Lee & her HYG program. The major results for me include; dramatically increased energy levels, more sound & restful sleep & the joy of clear thinking where once there was only fog. As an unexpected bonus, I have lost around 15 kilos of unwanted weight I thought I could never shift after years of trying! Through completing the program I now understand much more about the connection between your gut & mind & which foods work with you to soothe & heal. I know I need to take the time to give my digestive system a rest & the importance of including pre & probiotic rich foods in my eating. The recipes on the HYG program do all this & so much more to introduce you to & show you how to maintain your health through mindful eating habits. The support from Lee & the other participants is invaluable throughout & gave me the motivation & inspiration to keep at it when things got tough. I can’t thank Lee enough for sharing her program & would highly recommend it to anyone seeking ways to improve their health & wellness. I've just finished my first week of phase one and already have noticed considerable changes. Significant improvement in digestive disturbances such as bloating, improved mood with less brain fog and mood swings, lol! Really enjoying the journey and looking forward to continuing my healing. Thank you so much for writing your book and program so that all the information is finally accessible in the one place and so easy to follow and understand. HYG is a really good nourishing program. I didn’t come out of it with my gut fully healed, yet that’s absolutely fine, as each of us is different. What I did come out of it with is an increased & more rounded knowledge of myself, the foods that I react to, and that bloating doesn’t have to be a permanent thing & that looking after myself doesn’t need to be hard or tough. It's leading me in a really promising direction around really understanding my own body and helping it be the best it can. I was absolutely, overly impressed with the food and how good the meals tasted. A friend back in November had told me she was doing the program. At that point I thought how amazing & brave she was to be doing an elemental diet, and there is NO way I’d be able to do it. Fast forward to Feb & there I was myself. I suppose elemental (I didn’t really know what that word meant – actually I had no idea – elemental to me should have “my dear Watson” after it when said (that’s a Sherlock Holmes reference)), isn’t the right word, it makes it sound watery & hellishly unappetising. Your meals are anything but. I was very impressed, and have been using a number of them still all these weeks later. Even though the prep can be time consuming, once done, it makes the week really easy to manage, well actually 2 weeks, as I’d made enough for that. I also don’t eat meat (seafood occasionally) so was a little worried about protein, but it was well explained. When I’d ask questions, either through FB or email the response was SO quick, which made me/the process feel very supported, and knowing that there was a real person at the other end of the line, at a hit of the enter button was great. The FB page is a great resource too, and I hope more HYG’s utilise it. These are the changes to my chronic skin condition just 9 days after being on the program! I'm seeing such great results. I wanted to give you an update on some incredible progress since following your Heal Your Gut program. I was one of those "unexplainable" cases that the medical system were having issues with the reason behind my irregular (or lack thereof!) menstrual cycle & in turn, crazy hormone imbalances. I had my cycle maybe half a dozen times since having our son 5 1/2 years ago. Since February, I had taken all your advice on board, & within a couple months, my skin was looking good again, my hair loss reduced dramatically & my cycle had paid a visit. All was well for a month or two, then we had some high stress situations which completely threw me for six. Inflammation returned to it's previous state, fatigue, insomnia, hot flushes, reflux, no cycle, the whole lot. A visit to my doctor due to what was thought to be a reaction to a cervical procedure that I had 4 weeks ago, advised that I am in fact 8-10 weeks pregnant. For someone that was in the "unexplained" category, I explain it as being a reaction to poor diet choices, an inability to understand & manage stress, & a lack of self-care. By changing those simple things, I suddenly moved into the "miracle" category with the medical profession. We know different. Thank you for doing what you do. Thank you for putting me on the right path with encouragement, honest words, & support. Thank you for giving me a new chance at living in a healthier environment. Love & blessings. I no longer suffer bloating and my digestion is starting to improve. It's easy to understand Lee's protocol and follow the step by step approach. An added bonus is that the recipes taste great! I'd also like to highlight how supportive and helpful Lee has been during the protocol. I have lost count of how many questions I've asked her! Right from the get-go Lee has been available to answer my questions while supporting and encouraging me. She is dedicated to helping people achieve optimal health. Thank you Lee, I am very grateful. I am looking forward to continuing on to the other stages of the protocol. I came long to one of your talks, bought your heal your gut book, lost 3 kg in 3 weeks and my liver function tests, cholesterol and triglycerides, and sugars (i am diabetic) in the bloods I just had done were the best they have been in ages. The recipes are so yummy and my cravings are gone. Thank you so much. I just wanted to say a huge thankyou to Lee Holmes and the HYG Program Group. The improvements I have made in such a short time exceed anything I could have hoped for. Though I still have a ways to go, for the first time in a long time, I know I am on the right track! I am actually feeling really good! My skin is clearer and I seem to have energy and no bloating! I wanted you to know! Good morning Lee. I just wanted to say thank you for all the support! If I think back to four weeks ago… I am feeling so much better in myself. I really appreciate all the support and advice given. I want to say thank you for all of your support in the past month. Visiting the group was really great support and got me through some really tough times. A special thanks to Lee for her support especially email support at 4am when I was feeling my worst. I'm really happy I did the program. I actually have craved soup already and considered doing the cleanse again next year. ‪How did everyone's first week go? To be honest first reading the protocol I was a little nervous and thought... Hmmm don't think I can stick to it! After trying the recipes I'm so surprised how delicious everything is! I don't feel deprived at all. So far I've found my skin has cleared, I don't have as many blemishes and my dark circles have faded slightly (wish I took a before and after). My digestion hasn't been great unfortunately but I think it might be part of the natural healing process! According to the scales I've lost 1.8kg which is a great plus! Seeing these results have really given me that extra motivation! Bring on week two!! I'm five days into your heal your gut cleanse, and the salmon chowder is one of my favourite recipes. I have two auto immune diseases and today is the first day I woke up feeling well! Your book is an absolute godsend and all of your recipes are super delicious. THANK YOU. Just wanted to thank you for this powder I have been struggling a lot with what appears to be leaky gut and digestion/constipation issues for ages. After a week on this I'm feeling much better. Please please continue to stock it at Pease Street Pharmacy in Cairns My husband spotted it there and got it for me it's been amazing thank you. The moment I peeled open my new bag of Supercharged Food's Love Your Gut Powder ($18) was the very same I realised I'd just committed to eating actual dirt in a quest for better hair. Diatomaceous earth is believed to kill parasites by dehydrating them, so it only makes sense that ingesting it on the reg would bring on these symptoms. It's believed diatomaceous earth also acts as a parasite preventative, so I kept taking it. It was about two weeks in that I began to notice some amazing benefits. I don't want to get too graphic here, but I will say I found diatomaceous earth's gut-exfoliating effects to be impressive. My digestion is better, and for that reason alone I can't fathom a time I'll want to stop taking it. I wanted longer, stronger hair, and I got it. My hairdresser of four years recently told me, "Your hair is the thickest I have ever seen it!" He wasn't lying. (I hadn't paid him yet.) My nails were suddenly ridge-free which—swear on my life—is something I can't ever remember experiencing. I'm a convert. I really need to share this you as you'll all understand my excitement. I just got back from a holiday in France where for the first time in 12 years I ate normal, wheat and yeast laden pizza and lovely French bread without making me ill. This is something I never thought would happen again! I was told in 2005 that I was intolerant to wheat and then more recently, started reacting to more foods. Turns out I have Candida, which led to leaky gut. So I think I can safely say my gut is healed, although I know it will be a while yet before the Candida is wiped out (and yes, the pizza and bread may have taken me a step back but it was totally worth it!). Back home now and doing the plan 80/20 again which is how I have been managing since I did the 4-week plan in September last year. Hope you all have your own success stories soon too! Just wanted to say how much i am enjoying the effects of your Diatomaceous Earth powder. I feel like its one of the missing links that i have been searching for. I have had gut issues for a very long time and this product is really helping me to resolve those. happily I'm feeling more like my old self... well a much younger self really. I have done your treatment twice and I owe you a great deal , since suffering with Fibromyalgia I had to quit my job and thought I would never work again. I am following your advice quitting Gluten, sugar and lactose in a 99% and works for me very well. Now I can work , and do many things. I will do the treatment on vacation time for the third time. I have recommended your treatment to many people here, but will like to do more. DE it is so clean and tasteless unlike the DE I bought last time which was sourced in Queensland and tasted like mud. I have just completed your online program and have had amazing results. My periods have come on time, my bowel movements are so much better. There has been a huge change for me. Thank you so much! Thank you so much for this book, it has been my life saver. I was diagnosed with acute Epiploric appendagitis two years ago and ended up in hospital. Unfortunately after four days of nil by mouth (I was only allowed water) I had four further days of trying to eat but everything didn't feel good but they sent me home with pain killers. Two years later my husband gave me your book Heal your Gut for Mothers day. I started on the healing almost as soon as I had the ingredients and feel so so much better. I have energy now, my tummy doesn't hurt and I can get up off the floor after mediation without feeling I was dragging my stomach with me. I love your book. I am quite impressed with my progress so far and love the recipes. I have all of Lees books and use them like my bibles. I've been wanting to do the HYG program for a long time and I'm so glad it did. I’ve suffered from haemeroids and fissures for years, within two weeks of taking DE the latest flair up of haemeroids has mercifully resolved. I've used both the Australian and Lee's US version and Lee's US version is so much better. The quality is so fine and pale. I find the Australian product unfortunately darker and gritty. We have been using it a long time now and love feeling better in the stomach. So good for kids with worms too!!! I’m on to my third bag of this powder. I love it! Ever since I was a child I have had issues with my bowel . Constant constipation, pain blah blah blah. This stuff keeps me regular. Every morning I mix in with my porridge and I don’t even know it’s there. I'm sure you get plenty of reviews but your "love your gut" powder is Great, replaced Metamucil with your powder fir last few months now. We have all noticed an improvement. Well done on a great product! I finished the HYG program just over a month ago and really enjoyed it! My skin is looking better than it ever has done and I feel so happy with it. The reason I take "love your gut" powder religiously is to help with my Rheumatoid Arthritis.. it has improved my condition quite a lot and put a spring in my step. I was diagnosed with rheumatoid arthritis a year ago. After a lot of research (your book included Lee), I eliminated gluten, milk, additives, preservatives and the chemicals in my environment and added pre/ probiotics in the form of Kombucha, kefir and kimchi. My latest blood tests showed they are now all in the normal or excellent range. I am now controlling the disease not it controlling me. So yes I think good gut flora is the way to go and thank you so much for your help Lee. Sharing your journey helped me enormously. First of all I would like to salute you and say many thanks for your wonderful book "heal your gut". I have just recently bought it and I must say that with all the fundamental, but overall simple explanation of every single desease or patologhy you make it super easy to understand!. GREAT! Your Heal Your Gut book and program over 4 weeks totally stopped my stomach blowing up with any food I ate. I take the love your gut powder everyday and take no more Epsom salts or normafibre. I took both everyday before the heal your gut 4 week program. I want to say how terrific this program is - I feel so good and have a greater appreciation and awareness of the fact that food can indeed be healing, and can also have the reverse effect if you're not putting the right things into your body. Thank you! A huge, heartfelt thank you to Lee Holmes for her amazing online 4-week ‘Heal your Gut’ program. I came into the program with constant bloating, a serious caffeine addiction and very little awareness about the importance of self-care beyond just what I was eating. 4 weeks in, and not only is my gut feeling stronger than it’s ever felt in my life, I’ve gained clarity, composure, my stress and anxiety levels are down, and without all the pain and comfort in my gut, I’ve been more productive and inspired as a mum, teacher, writer and friend. I’ve never felt more in tune with the needs of my mind, body and soul, so it’s thanks to this beautiful program and the insight and knowledge that’s gone into it, that I’ve not only gained gut health, but also lifelong wisdom that I can now pass down to the people that I love. Thank you! I absolutely LOVE the Golden Gut Blend. I put a heaped tsp in my smoothies every day! I also use Heal your gut powder as well. Both of these amazing super powders are the best thing for your gut health! I cant recommend GGB enough. I adore Lee & her website, blog & awesome recipes. Ive bought two of her books & am waiting on her latest one “love your Gut” coming out in March. I finished the 4 week program and back to eating solid foods. It was hard at times, but I am proud that I did something big for my health. I surprised myself cooking with love ... handling bone broth like liquid gold. I am feeling great and much more in tune with my guts. It may not make sense but my organs feel "tighter". Now I find myself craving soups!!! I am 3 weeks into the elemental diet and I have to applaud you on the recipes - they are all delicious and make me not even miss my normal diet. Even family and guests approve! I've been using your powder for a few months now and it's a total game changer! I absolutely love this! I’ve had severe bloating, diarrhea, constipation for the past 3 years and now no more! It really had changed my life. 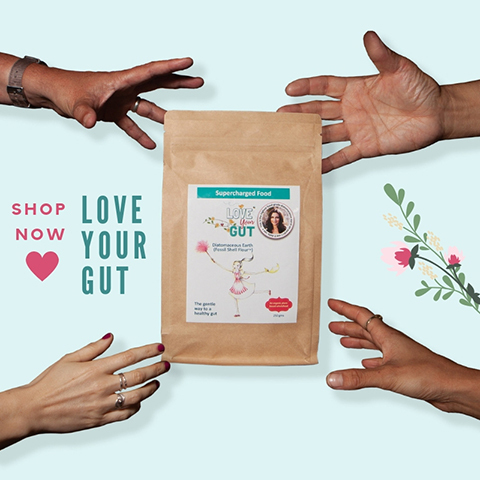 I love your Love Your Gut powder - I have a bowel disease and I find this product really helps with cleaning and filtering out my insides. I love it Lee - has changed my whole digestion & gut happiness in the last 6 months.. I take Love Your Gut powder in warm water after my apple cider vinegar cuppa.. Thanks for making such an amazing powder available! Love this stuff and recently converted my mum who was visiting from NZ. The major benefit for her was that she actually slept better as usually her stomach bothers her during the night and interrupts her sleep! When you are having a diverticulitis episode, low fibre and liquid diet. If it gets really bad, antibiotics are the last resort. I have been able to stop the flare ups by going on to the liquid diet only. Sometime, if it does not work I have used L-Glutamine with great results. Last week nothing was working so I used the Heal your Gut "Diatomaceous Earth" which stop the flare up on its tracks. I did the Heal your Gut 4 week program a few month ago and my insides never felt better. I did the HYG programme about 18 months ago after seeing it on Shark Tank. All I can say is I haven't looked back. My gut has never felt so good - and I didn't think I had a problem in the first place! One thing that is a daily ritual now and goes everywhere with me is the HYG Powder. I cannot recommend it highly enough. I have it every day in smoothies - which I start the day with. Great programme, explains the working and importance of the gut in an easily understandable way. For me, 18 months down the track and no upset stomachs or bloated "whale" days. Have done the heal your gut program and it healed my horrible eczema! Your gut powder has helped me so much. I have had some serious health issues the last year and watched the Catalyst show the other day and thought of you straight away. I was hospitalized for severe migraines and have tried everything, i went through and tried chinese herbs. I also started nourishing my gut! I have used your gut powder before and bloody love it! I will have to buy your new book, it looks FANTASTIC! Congrats lovely. I thank you for your emails as you have helped me so much as I've been taking your Love your Gut powder for quite some time now & it's helped my gut so much. For many years I used to wonder why I always felt sick after eating breakfast then not much better for the rest of the day then I was diagnosed with Fructose Intolerance. Somehow I received an article about your website about 18 months ago & since taking your Gut powder it helps me so much if I'm out and have eaten something that disagrees with me, I usually take the mixture prior to eating out just in case. So, thank you so much. I've also suggest it to so many people who have found it very helpful also. I've been using 'Love Your Gut' for almost 2 weeks and nothing, absolutely nothing has kept me as regular as this product. I have an immune disorder and am allergic to cow's milk so it doesn't take much to imbalance my gut. I have tried everything and this will remain a daily routine. I'm especially looking forward to taking it with me on my next travels, which is usually a time of immense frustration and regular intake of laxatives. Thank you so much for making this wonderful product available. I borrowed your book from the Library and I have made the chicken with lemon and olives and I just had a bowl of the delicious fennel and apple soup. Because I have a Leukaemia related condition I do try to eat well, and my cocktail of drugs does sometimes cause me to feel a bit icky in the stomach. I can’t have chocolate or coffe or Coke, but I never really drink, or drank, fizzy drinks. I just wanted to say that your recipes are delicious. I also recommended your book to my next door neighbour who has lots of gut issues. I just want to send you this email to thank you for the wonderful amazing work you have done in helping 'Gut Health'. I am absolutely obsessed with you and your healthy lifestyle. I was given your 'Eat Beautiful' cookbook for Christmas last year and basically, that's when my gut journey began. I cooked quiet abit from that cookbook...there hasn't been one recipe i haven't enjoyed. I then purchased your 'Heal your Gut' cookbook and read it about twice through. I followed your 4 week gut health program. To be honest I found it hard but I am now feeling absolutely refreshed and so much better. My body definitely thanks me. In March my partner surprised me and bought me 'Supercharge Your Gut' cookbook for my birthday and that has been my go-to since then. And then I in a pharmacy with my partner and I found that he was hiding something behind his back and afterwards he surprised me and purchased me 'Love Your Gut' Powder. I was so happy. He knows how much I enjoy cooking from your cookbooks and to be honest I talk about you quiet abit in terms of gut health hehe. Every morning we both wake up and have a tablespoon each in one of your smoothie recipes. I just then purchased 2 more 'Love Your Gut' Powders. Thank you so much for being so wonderful and for making the most amazing, tasty and healthy recipes. My daughter bought your cook book a while back and I thought not another one, BUT, after trying a few recipes I am addicted. Beautiful recipes and yummy food. We live in a dairy and now a gluten free household because we have to and this makes the conversion so much easier to bear! I have just started taking Love Your Gut Powder and I am noticing a great improvement. It's a very great product, my irritable bowel is great. Thank you for giving me my life back. My partner and I started our 4 week program yesterday after 2 weeks of preparation. I talk to everyone about your book and gut health, after talking to a collegue for 5 minutes about it she bought your book and is already make all her own broths and kombucha as well as the meal recipes. I had a break out on my arms after having random dizzy spells and feeling sick. My urine test showed I was diabetic but my bloods showed I was fine. The nitrous in my urine sample lead them to believe I was having multiple UTI's of which I was prescribed anti-biotics and was on it them for about 5months as the symptoms would return every time I ran out. Even after seeing a specialist all the gave me was antibiotics.The break out on my arms is apparently a sign of having diabetes and I have had it for close to a year since I've been having this health issues. After having ONE epsom bath last night, (thanks to your book) I woke up the next morning with my arms pretty much completely cleared up!! Thought you might like to know that positive feedback and I love forward to seeing the outcomes of my health after completing your program. Best reset I've ever done and completely healed my gut - also showed me I never want to eat gluten or sugar again (or minimise almost completely) and helps me truly discern what makes me feel terrible because you go 30 days without it! Was going back thru old pics! You helped guide me Immensely me along the gut health path I took to try and get rid of my long standing excema flare ups. I’m forever grateful. 2 years now and those hands are well gone!!!! I have been loving my gut for 6 weeks now... 4 weeks on the gut cleanse protocol followed by 2 weeks of more gut loving foods from your second book and I have never felt better in my life. I made 7 soup recipes over the weekend as prep for the week. I loved all of them. I am so glad to have a whole new world of soups as I prefer to eat them in winter and find them great for my digestive system when feeling overloaded. They are so tasty and sooo easy to make. I am reaching out as I have been following you and you honestly helped me so much throughout my journey of Self Love and finding the food that suits my body and helps me feel amazing. You have helped me learn about myself and give myself permission to follow my own soul rather than society norms. I now run a beautiful yoga studio and get to work as a professional speaker, author inspiring others, you helped inspire me, so thank you! Hello 🙂 I've been consuming Golden Gut Blend and Love Your Gut powder on a daily basis now for about 3 months, and I absolutely love the powders! I put ~heaped desert spoon of the silicon powder in my morning green drink when I wake up, and I and ~1 heaped teaspoon of the golden gut blend to my breakfast 'cereal', and another heaped tsp to my silken tofu 'pudding'. Not ony does it taste delicious (very morish! ), but the health benefits I've noticed keep my purchasing your powders. Specifically, I've had a lot of digestive issues in recent years (chronic constipation, chronic pancreatites) with side effects like bloating, gas, and discomfort. Since the addition of your powders, I feel my gut health has improved tremendously! Bloating has gone down, and I am no where near as gassy! Also, my energy has increased which is a welcomed bonus. Hi Lee, just wanted to drop you a line and say thank you! A friend of mine introduced me to Heal Your Gut 2 years ago. I followed your program for 21 days 2 years ago (couldn’t do 1 month as I was going to Europe on a work trip), and it completely transformed my life (along with learning to run). I lived a gut health lifestyle for about 18 months and then somehow went off the rails for a bit for the last 6 months. I recommenced HYG again 19 days ago and I am whole again! I have also been trying a few modifications to the recipes, roast cauliflower for the anti-inflammatory soup and also have started feeding my children oven roasted grandma’s chicken (no soup, just the chicken with almond meal etc) and they love it, “it’s the best healthy snitzel, mum”! I am also inventing my own smoothies with the knowledge you have empowered me with! Thank you Lee for sharing your story, love for life and delicious, inspiring recipes! I have had gut disbiosis causing autoimmune for many years causing Optical Rosacea and general inflammation. I have just completed the 4week protocol in Lee Holmes heal your gut book. It works on the possible primary cause of the gut lining being damaged and causing inflammation and gut disbiosis. Good news I have just completed the week 4 diet never have I felt so good. Inflammation is improving gut health is amazing almost normal. On diet there is a lot of cooking but you can freeze the soups first the results are worth the time. For my mental side I have been following Dr Joe Desponza on the internet.I have bought his course and meditation. Both treatments have worked together to really improve how I feel. I am now absolutely Gluten and dairy free for a while. Still a long journey to go . I hope this helps think of the future when you are healthy.